Case Study: Customer quite literally stumbles into Prepdeck wood stripper! 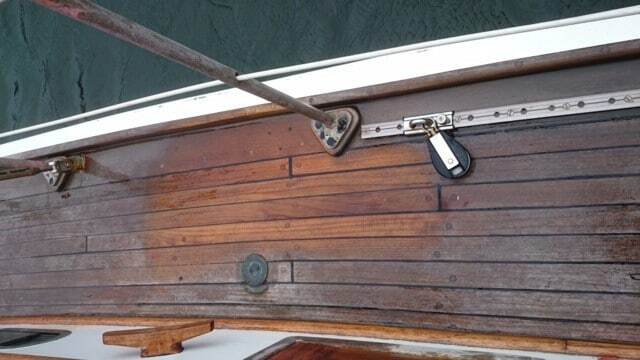 Prepdeck is perfect for use in a Marine environment, especially for use on boat decks and wooden hulls. It’s easy to use and is specifically formulated to remove old wood stains, oils, finishes, mill glaze and other coatings and contaminants. To use it you should first put on protective clothing and gloves as well as cover anything nearby which you do not want to be stripped. Then, working in areas which can be covered in 15-30 minutes, apply the Prepdeck with a synthetic brush and leave it to work its magic. Please note that the amount of necessary working time will depend on the previous coatings to be removed – to check if the Prepdeck has finished doing its thing simply test a small area with a deck brush to see if the dirt or finish is lifting properly. When it’s ready, scrub the area or use a pressure washer, always working in the direction of the grain, and then rinse with large amounts of water. 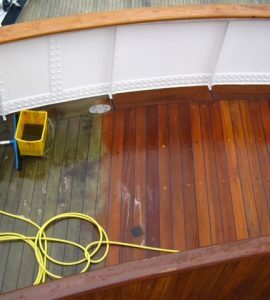 It is then necessary to neutralise the surface immediately after stripping using Net-Trol wood cleaner to prevent the Prepdeck from continuing to strip if any has been left behind. This is done in pretty much the same way – simply apply the Net-Trol, leave it to work and then rinse. What can I protect my yacht deck with after stripping? Alasdair also had a great question for us too – he wanted to know if Deks Olje D1 saturating wood oil would be a good wood protection product to use on his deck after the stripping and the answer is definitely YES! Deks Olje D1 is perfect for marine use and it can even be used in locations below the water line. It can also even be used as a primer for conventional single pack coatings and decorative finishes such as Deks Olje D2 high gloss oil varnish. Deks Olje is a penetrating wood oil which gives a clear matte finish, enhancing the natural beauty of your wood. It is applied ‘wet-on-wet’ meaning that coats are applied without drying time inbetween until the wood is saturated. The D1 then protects the wood from within, giving superior protection from weathering and UV rays as well as being immune from problems of peeling and flaking as its place is inside the wood not on top! If you’ve had any success with our products and you’d like to share your experiences then please either leave a product review or get in touch! I have some wooded rockers that we clean and coat with teak oil every year. 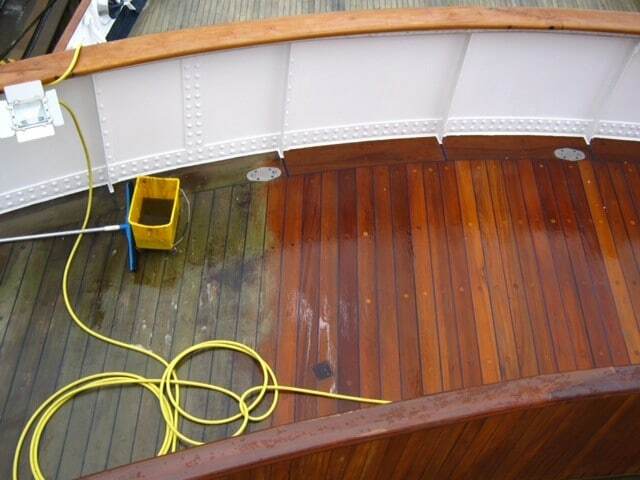 Aquanett is for removing oils and Prepdeck is for stains and finishes, so we would recommend you use Aquanett to remove teak oil from your wood.